Look, I think IHOP (prayer house) is doing great things for their community. But, Christians are notorious for violating the 8th Commandment when it comes to logos and brands. I mean, I ain’t no lawyer, but I don’t think you can take well-known logos and slogans, and then sell it for a profit. And again, not being a lawyer, does IHOP (prayer) have any chance of winning? Of course, some Christians will go on saying that this is a way that IHOP (pancakes) and other secular business are trying to bring down churches and Christianity. But, in reality, it’s about Christians not understanding the importance of copyright and trademark laws and violating the 8th Commandment so freely. So, don’t blame IHOP (pancakes) for suing for trademark infringement. Maybe it’s time that we Christians really tap in to the talents that God has given us and come up with original things, instead of consistently violating the 8th Commandment and then crying foul and persecution when we are called out for it. It deals with some of the constant back and forth of Pop Culture and religion. Well working at a graphic design firm for a while now, I’ve learned about copy right laws. You only need to change 70percent of the design and it’s all yours. the one’s you posted up there were all changed at least 70 percent. Name infringements are different though. That is why if you are wondering why there are so many bite offs of designs, it’s because after 70, it’s free game. This is so going to get thrown out of court. IHOP, the restaurant, has to show damages because of IHOP, the prayer house. If nothing else, it may make some Christians prayerfully hungry. Actually, for trademark infringement, damages are not required, only the appearance of potential confusion between the entities. The basis is the potential for individuals to think that IHOP(ancakes) is affiliated with or endorsing IHOP(rayer). That said, The IHOP(rayer) may have gotten away with the name by not using the acronym. They will likely lose the rights to both now. I think IHOP (prayer) will probably loose a court case. I also think, in fairness, it’s worth noting that they’re different from the examples cited. I think they really started out as the International House of Prayer to be just that: a house of prayer for the world, not a rip-off. I don’t believe they intended from the get-go to play off the “IHOP” abbreviation or they would have developed a logo that looks similar to the pancake company’s. 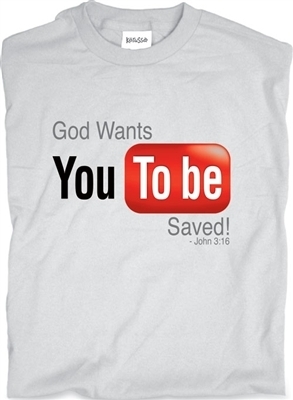 The t-shirts above are intended first and foremost as rip-offs at worst, bad parody at best. Like I said, I still think they’ll loose their case, but as far as motive goes, I don’t think they intentionally created confusion. Their one saving grace in court may be that IHOP is an acronym, which seems like a harder legal threshold to defend. Can the Irving Horse Owning Police send out a newsletter and abbreviate the name of their group? We don’t know how they agreed on the name IHOP(rayer). It could’ve been that IHOP was convenient, because so many ppl know what IHOP is, and they sorta jumped on that band wagon. Or it could’ve been a complete coincidence.